Power Preserve technology offers long-lasting use Alkaline batteries feature more active ingredient packed into a high-density core to produce more power. Improved Powercheck feature allows you to see the remaining battery power with the press of a button. Guaranteed fresh for up to 10 years in storage. 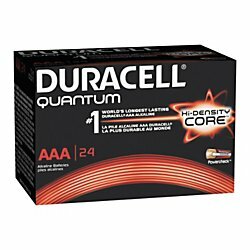 There are 6 Packs of 24 batteries each per Carton.